When you think about the movie “Jaws,” what comes to mind first? One of the most popular answers is that unmistakable sound — dun dun, dun dun. While only some movie scores become a part of pop culture, as is the case for “Jaws,” all film scores create an ambiance and atmosphere that draws you into the story and creates an immersive experience. Sound fills your day-to-day life. You hear the birds, the traffic and maybe even the cows if you’re lucky. Noise not only immerses you in your daily life, but also alerts you. Take driving, for example. Beeping your horn may tell another driver to move back into their lane or that the stoplight changed to green. 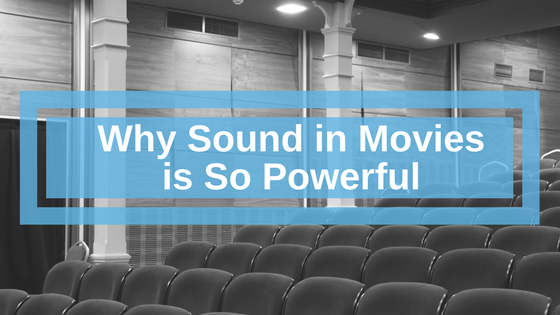 Films use sound in the same way. “Jaws” relied on its movie music to show that the massive great white shark was in the area and on the prowl. “The Terminator” franchise alerts audiences to similar danger with the da-dum, dum, da-dum sound from its soundtrack. Now, imagine those films without those sounds. It’s quiet — lackluster. We don’t have the same build-up to Jaws coming out of the water or the Terminator bursting into a room as we do with the soundtrack. Without their signature music, the films even lose a bit of their character and fame. Even simple sound effects, like when a lightsaber ignites in “Star Wars” or the warp drive engages in “Star Trek,” add to the movie and immerse you in the story, especially when it features technology that doesn’t exist. Engaging the audience was a goal of Stephen Spielberg’s in “Saving Private Ryan.” The film’s acclaimed D-Day scene was shot because Spielberg wanted to “bring the audience onto the stage…and demand them to be participants.” Spielberg achieved his goal, with the film winning an Academy and BAFTA Award for its sound mixing. “Psycho.” Even those who haven’t seen Alfred Hitchcock’s classic thriller are familiar with the violin screech that led to the famous scream and made audiences tense in their seats. “Jurassic Park.” When people think of what a t-rex sounds like, it’s inspired by Spielberg’s famous dinosaur franchise. The sound itself was a mixture of animal noises, from a baby elephant to a tiger. “Ghostbusters.” Like Star Trek, the Ghostbusters franchise also needed to create an original sound effect for a piece of advanced technology — the proton pack. “Back to the Future.” The team behind Back to the Future created a series of sounds to not only animate the DeLorean but also tell audiences — before Marty or Doc did — that the car had a problem. “Tron.” Another sci-fi film that needed to create a unique sound to immerse audiences in its story was “Tron,” which made a series of sound effects for its light cycles from the Atari game console. “Tarzan.” While “Jaws” and “Terminator” used sounds to alert audiences to the film’s antagonist, “Tarzan” needed a noise to indicate the hero was nearby. Cue the Tarzan yell, which is patented. One of the most signature sounds in movies is the Wilhelm scream, which happens when a character falls from a ledge. It was created in the 1950s, but didn’t become popular until “Star Wars” and “Raiders of the Lost Ark” put it to good use. At Soundproof Cow, we’re all about sound. If you’re a soundphile, or interested in becoming one, subscribe to our Bull Bulletin, and we’ll send you the latest news and tips.